Logistic services are continuously expanded and adapted in accordance with the demand for goods and services. The transportation of a product from its origin to its place of consumption is tied to numerous environmental and social impacts such as CO2 emissions from lorries or employees’ health and safety. To address consumers’ growing awareness of the social and ecological ramifications of their online purchases, logistic providers are increasingly taking the environmental and social impact of transportation methods into consideration. But looking at how goods get to their final destination isn’t enough. We need to move beyond this first step and counterbalance the ecological and social impacts resulting from an increase in logistics and trade. 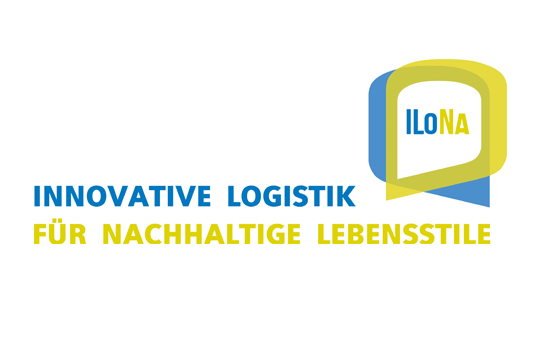 To achieve this, ILONA develops and mainstreams innovative products, services and business models in the logistics sector. The project places special emphasis on understanding the interdependencies of consumption choices and environmental and social impacts of logistics practices. How can innovative logistic services be designed to meet both socio-ecological requirements as well as promote sustainable lifestyles of consumers? What kind of changes should take place on the consumer side to support sustainable logistics structures? To get a better understanding of the interaction between consumer behaviour and logistic services, ILoNa is creating an innovation platform for logistic providers, researchers, and civil society. The platform will facilitate the development of business models, products, and services focused on logistics that enable sustainable consumption. Using a multi-stakeholder engagement process, ILoNa is identifying concrete measures to simultaneously address sustainable lifestyle and logistic trends by implementing pilot projects during the project phase in cooperation with business partners Fiege and Schachinger. Alongside the pilot projects, communication strategies that incentivise sustainable consumption choices are being developed and tailored to reach specific target groups. ILoNa is also developing a tool to measure the social, ecological, and economic impact of logistic processes, which will strengthen the accountability of logistic providers and the transparency along the supply chain. The project is specifically looking at sharing economy business models. Here, the focus is on how they disrupt existing business models as well as the opportunities they provide for sustainable lifestyles. 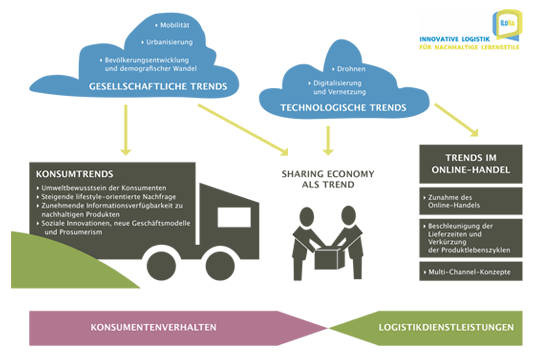 We are conducting research on sustainable lifestyles and the consumer’s awareness of logistics issues while transferring the insights into recommendations for new business models, products, and services. Furthermore, we are continually active in the facilitation of a multistakeholder-process between research, business, and civil society with the aim of piloting the resulting products and services. Whether you are a business, in academia, or part of civil society, join us at the forefront of innovating the logistics sector! Be part of the solution and get involved with the ILONA innovation platform. Visit our website to find out when the next multi-stakeholder workshop will take place. For a list of all partners please click here.